Mayor Tracey Roberts said constitutional recognition of local government would secure direct Federal Government funding to the local authorities. According to a council document, this has been the case for the past two decades but recent cases in the High Court have created uncertainty about the Commonwealth’s power to provide funding directly to local government, resulting in the need to define it in the Australian Constitution. ‘Constitutional recognition will preserve these arrangements,’ Mayor Roberts said. She said funding for important community facilities was under threat. 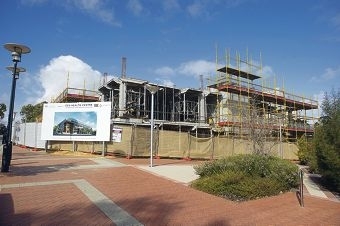 ‘The GP Super Clinic currently under construction in the Wanneroo town centre is a result of Federal funding,’ she said. ‘If constitutional recognition of local government does not succeed, funding would have to go through three levels of government before it gets to the community, which means we won’t get our fair share or have as much say about how that money is spent,’ she said. Cr Brett Treby said there was added financial value to constitutional recognition rather than funding going through three levels of government. ‘State Government takes an administrative fee in handling the funds between the Federal Government and local government,’ he said. However, Cr Ian Goodenough, the Liberal candidate for Moore in the upcoming federal election, was opposed to constitutional recognition and ‘giving the Commonwealth additional powers’. Cr Goodenough said giving the Federal Government the power to directly fund local government would also give it the power to withhold funding. ‘How will funding allocations be equitably determined among 600-plus local government authorities competing across Australia,’ he said. City administration recommended councillors support the campaign but expressed concerns for its success given the time available until the federal election. There will be no additional cost to the City.